An alleged victim of child sexual abuse, who came forward shortly after a grand jury report was released that accused the Roman Catholic Diocese of Altoona–Johnstown of orchestrating a decades-long coverup of pedophilia within its ranks, now finds himself at odds with the diocese over a proposed settlement. The now 34-year-old man claims he was abused by Brother Stephen Baker from approximately 1996 to 1998 ,when both were at what was then called Bishop McCort High School in Johnstown. Hoatson blames Bishop Mark Bartchak for, in his opinion, not living up to his promise to help victims. “For the last year and a half or so, Bishop Bartchak has been actually sending out a regular appeal to victims to come forward, especially those who have been abused by priests and religious leaders,” Hoatson said during a press conference held across the street from Bishop McCort on Tuesday. The accuser, whose name has been withheld, came forward on March 7. On March 1, the Pennsylvania Office of Attorney General issued a grand jury report in which it accused the diocese of protecting at least 50 priests and other religious leaders accused of sexually abusing children. 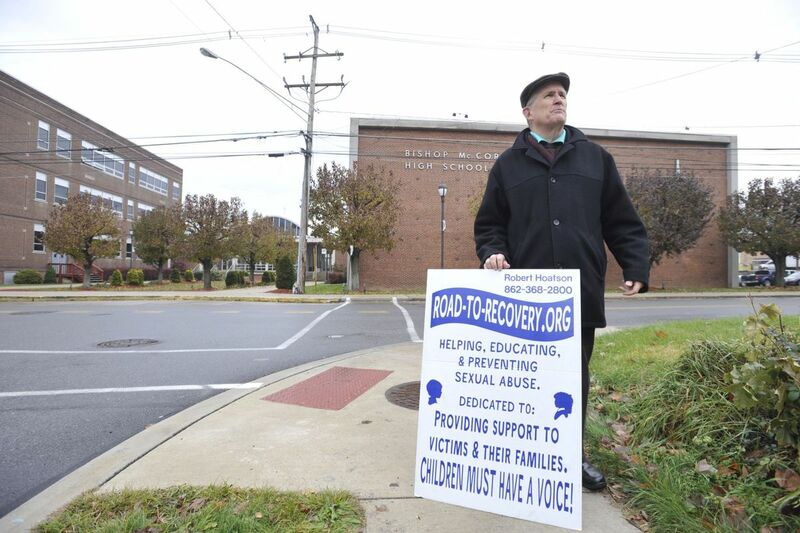 Baker allegedly abused dozens of children during his time at Bishop McCort, from 1992 through 2001. The AG's investigation into the diocese is still considered to be open. Thomas Farrell, an attorney representing the order, could not immediately be reached for comment.